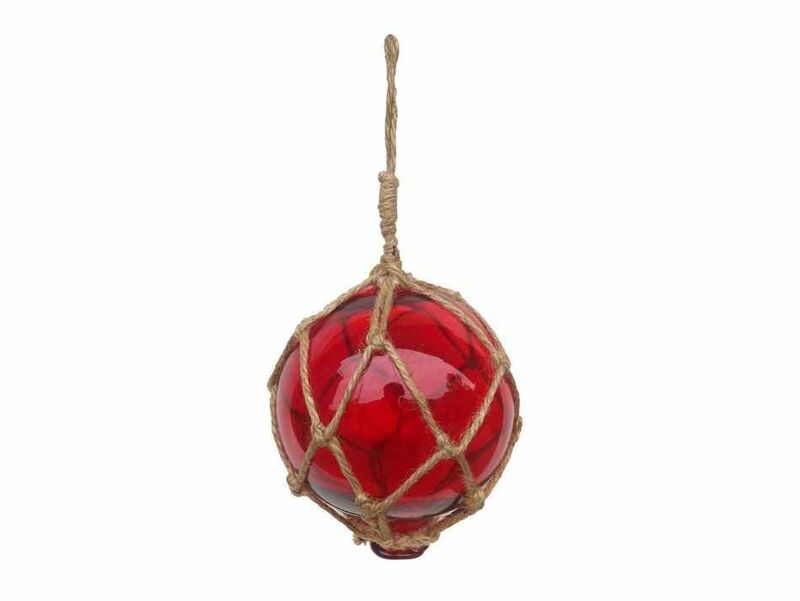 This Red Japanese Glass Ball Fishing Float Decoration Christmas Ornament 4" is a perfect piece of beach wall art. 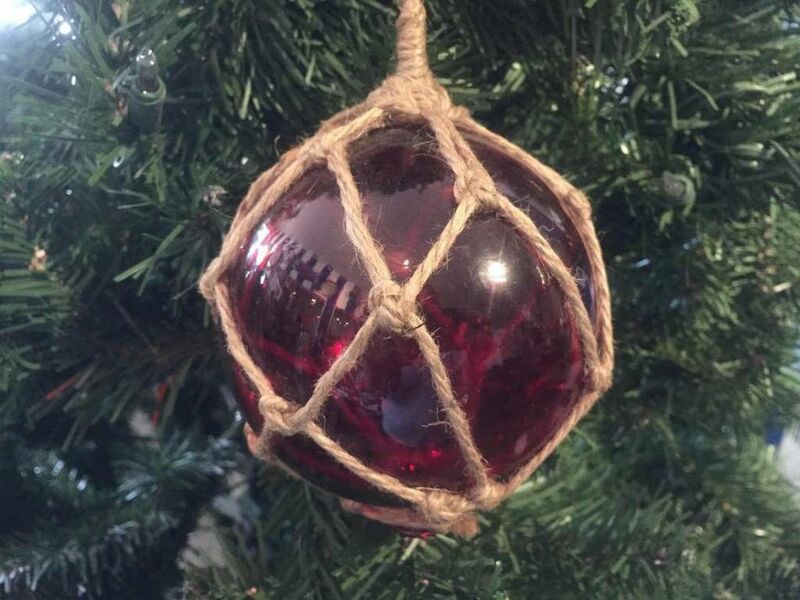 Gorgeous decor on your Christmas tree, enjoy the charming inner warmth of this buoy float as lights play through the glass ball. Perfectly contrasting the glass float is the authentic fishing rope netting which holds the float in place. 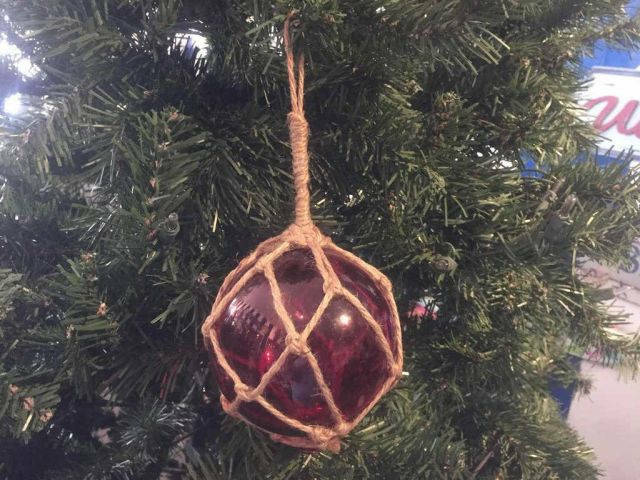 This float ornament decoration will light up any tree and adds the final nautical touch your Christmas needs. This charming float ornament can be easily hung onto any Christmas Tree.